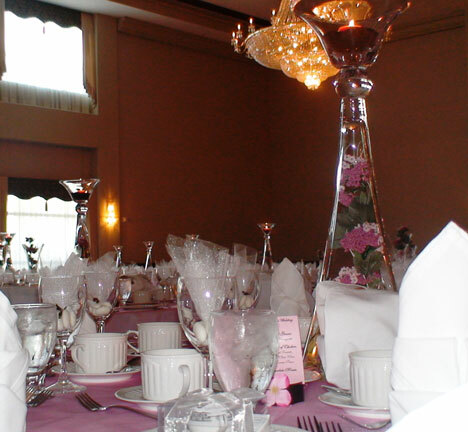 Today, I am going way back, to a 2007 Edmonton wedding. Dave and Quin of DQ Studios are one of the most fun, most talented couples I have ever had the pleasure of working with. 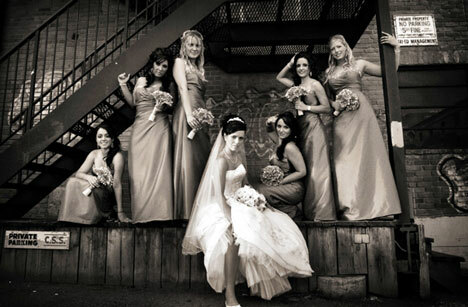 We called them our "ninja" photographers as some of the angles and creative shots they achieved were unreal! Enjoy Angelo and Denae's wedding! 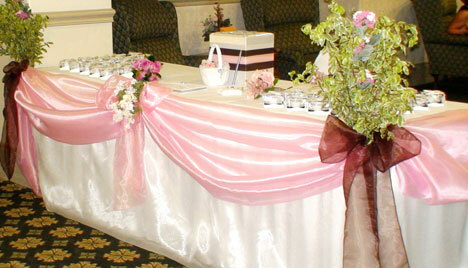 The Bride's home was a flurry of activity as the day began and the bride was adorned by family and friends. 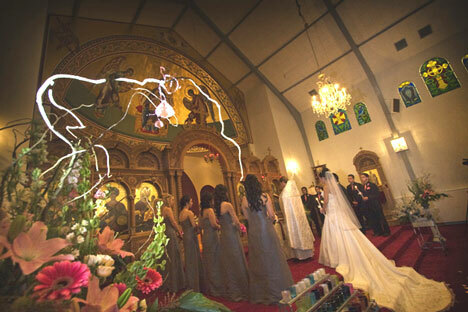 The Ceremony was held at the beautifully ornate St. George's Greek Orthodox Church in Edmonton, Alberta and was steeped with touching tradition. From symbolic Crowns to beautiful chanting, it was an emotional and loving ceremony. The photographers found the most unique locations to do "formal" portraits in Edmonton (aka. "The City"). What a blast the entire Wedding Party had posing under fire escapes, in back alleys, and could it have been more perfect than with the Mercedes?! The couple loved the trendy colour combination of pink and chocolate brown so Maria from Flawless designed and coordinated unique details to achieve a truly luxurious look. From tall modern vases filled with aromatic coffee, candles and florals, to precious pink metallic menu cards nested on top of perfect metallic brown paper rings, the details were fabulous! 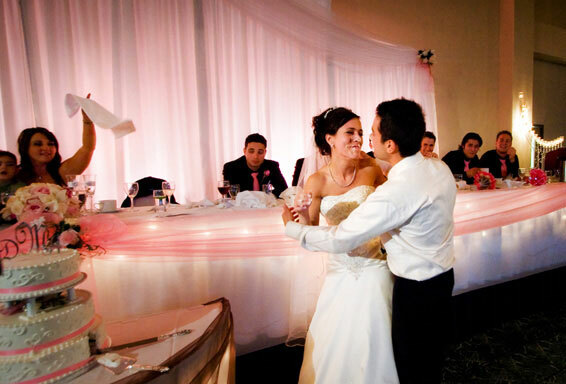 Elegant Events made sure the hall and décor were stunning, draped with princess skirting and hundreds of mini lights, as well as strategically-placed spotlights. 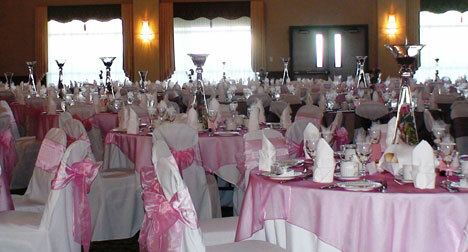 The beautiful pink and brown chair ties on the back of elegantly-adorned white chair covers made for a true Hollywood look; even the 24 foot high balconies were draped! Guests were treated to a fantastic dinner, a desert of Triple Chocolate Mousse and a gorgeous 3-tiered cake topped with the Couple's Swarovski-crystal accented Monogram. 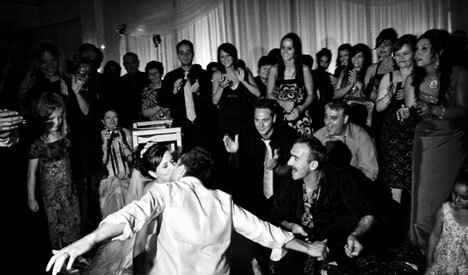 Ever been to a Greek Wedding? 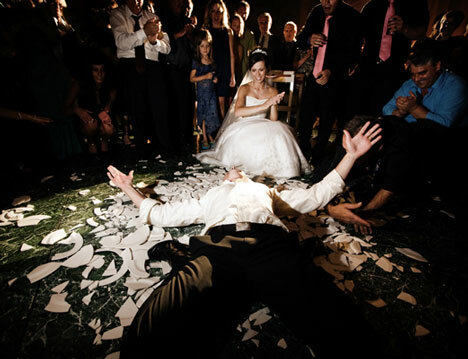 They literally broke hundreds of plates on the dance floor yelling "Opa!" and were practically kicked out of the venue at then end of the night because their party just would not end! A Flawless Wedding for another Flawless Couple!